Be inspired by these The Avengers premiere phtos and watch The Avengers online. The Avengers premiere lit up Hollywood. Scarlett Johansson, Chris Evans and Chris Hemsworth make the scene at the film's debut. 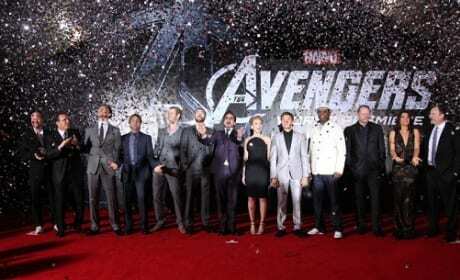 The cast of The Avengers gathers for the Hollywood premiere. The Hulk, Iron Man and Captain America are joined together in The Avengers.